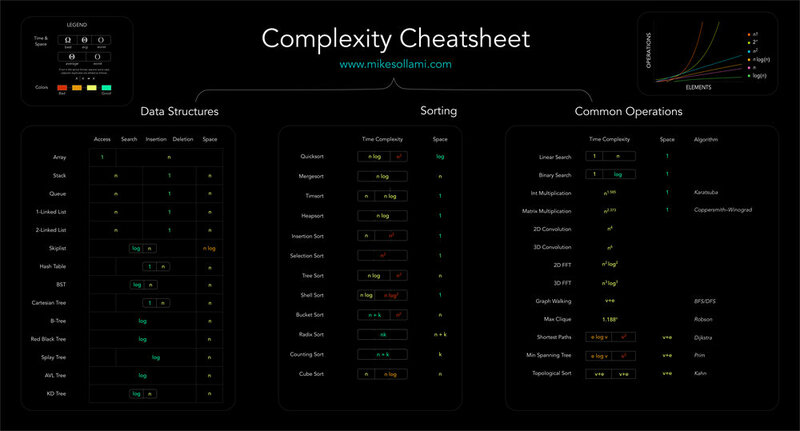 This is a first in a series of cheatsheets that I'll be posting. Below is a poster which gives a simplified overview of Data Structures and Algorithms and contains most of the import stuff to remember (for interviews or exams). Unlike the Big-O-Cheat-Sheet's paid offering, you can download it in high resolution here for free (don't waste $14 dollars)!